I appreciated the ease and flexibility of learning online. The modules were easy to follow and engaging. This course really helped me understand the content involved in teaching a TEFL class. I appreciate the chance you gave me to complete this course. This course will help me with my online job. I have no previous teaching experience in teaching or education. I found this course to be very challenging and very rewarding at the same time. I was quite overwhelmed with the amount of knowledge that I had to assimilate in a very short period of time. I was very relieved to have the extra time to study that the online format offers. Thank you so very much for this experience and I look forward to working with the Teflen Team in the near future. I felt the course work was very easy to follow, being online it allowed me to access the content from anywhere which was very convenient. I thoroughly enjoyed all the content and as a pre-service teacher studying my bachelor's I felt it to be applicable and adaptable to all learner and learners needs. Overall I am very happy with this course and organisation. Really enjoyed the course. I felt very supported in the process of going through the documentation. I particularly enjoyed the videos of classroom activities and examples. I think the grammar unit was the hardest one to follow.The CLIL unit was very informative and something I never heard of before. I loved learning about different types of techniques to teach a variety of learners. Thank you for creating such a concise and detailed course. Course was excellent and easy to follow. I would highly recommend the TEFLEN course, particularly the Master150, as it provides excellent information to help teachers in the foreign language school setting. Cheers, and best wishes! As I have never learned from an online course before, I found this course very effective, and it also contained a lot of valuable information. I also appreciated that the course was flexible. This course is great as it covers all necessary aspects in equipping me as an EFL teacher. The online format assists me to study efficiently and effectively. Thank you, TEFLEN. Even with having a background in teaching ESL, there was a lot of new information that I learned. I also appreciate having the ability to do this training online since I have a full time job. The best online course I ever attempted. The course structure is well set out, so logical and easy to follow. The materials covered on Teaching English as Foreign Language are very practical and comprehensive. I thoroughly enjoyed learning it at my own pace. I definitely recommend it to others! The course was great fun, made easier by having a great group of students. It is a full course, with long days and lots to learn, so come prepared! The teaching is great. This gives you a real insight into being an actual teacher, and the preparations required. It was really easy without being a joke. Learnt a lot! The course was very informative, it has given me the confidence to take on a teaching role. I truly loved this course! The information given is clear, and presented in a way that makes it easy to understand. I really enjoyed the course and can't wait to do another. Everything was perfect, I have improved myself a lot. Thank you teflen! This course has made me reflect on my teaching on a completely different and effective manner. I feel that I am more confident and that I will be able to teach my classes leaning towards a purpose-driven approach. I would recommend this course to any teacher who has just started the EFL/ESL teaching journey. Online study makes it easier to follow and complete the course at any time I am free. The course materials are easy to follow. Taking this training was very exciting and a very good refresh of my English knowledge. I thought the program to be full of good pieces of advice and presenting aspects of teaching in very instructive ways. I believed online teaching to be revolutionary and wish to evolve in that field in the future. Thanks for providing me with such good material! The course material is clear and easy to understand. It provides adequate guidance and preparation towards assessments. My experience with Teflen has been very enjoyable. The classes are broken down into "easy to digest" sections. I especially liked the simplicity of the program. I appreciated the downloadable materials which I will need throughout my career. The price of the course was very reasonable. Overall, I am very satisfied with the Teflen course. Thanks for a wonderful program! Extremely thorough, possibly on the same par as a CELTA course. Very hands on. Looking forward to writing my lesson! Thank you. Very easy format to follow! Each section was just the perfect length. Learning online made it easy for me to do the classes while working full time. I found the flexibility of the course useful. I liked that I could do as little or as much as my time allowed. I think most of my time was spent on the lesson planning. This course was structured perfectly. I appreciate the guide in successful completion. I loved the flexibility of the course and being able to study at my own pace. It was an enjoyable experience. Thank you so much for the education! The course was absolutely amazing!!! Great course to work on, nice to have the ability to do it at your own pace. Teflen has created a world-class self-paced program, which is very easy to follow. The materials, the tests and the guidance provided are invaluable to my future job endeavours. It was very easy. Excellent trainer support. The Course was great. I took my time reading each module and feel very confident in what I have learned so far. I can't wait to get my first appointment! Teflen has helped me in many ways to go and experience a new journey for myself. It is a great program to boost your confidence, learn and become a teacher wherever you want. I travel to Bali every 3 weeks and I have wanted to teach English there for a very long time, so I am hoping to get to that goal thanks to TEFLEN. I loved this program, and will recommend it to others. My trainer was fantastic and very helpful, and customer service was exceptional. Thank you for a tremendously rewarding experience. You are a well managed company, congratulations on putting together a good program. This course was excellent! I learned a lot about teaching English as a foreign language and I feel that this knowledge will help me become a better teacher. Thank you for the opportunity to complete my TEFL training with you. For me, I feel that this program gave me a real sensible, starting foundation upon which to build. I'm happy and more confident now, all in all, it was great, sensible, and real practical. I greatly enjoyed my experience here. A lot of the material leaned was an extension of what I already knew from other courses/working with children in the past. I don't really have any comments on the course itself, but I would personally like to thank my trainer for the patience he showed and the assistance he gave. Cheers! I now feel confident in my career as an EFL teacher. The course was easy to follow, the exercises were challenging. Structured well and good variation with reading material, course work submission and videos. This course is professionally created for those who want to become a professional English teacher. It's easy to follow and perfectly understandable materials. Online course simplified my education because I am not tied to certain place and I was able to gain new knowledge and practice in the same time. I would defiantly recommend this course for my friends and I have already done it. There so much useful information about teaching. Thanks for offering an online course for an affordable tuition. Thanks for keeping track of my progress and encouraging me to complete the course with an extension. Great to do bits whenever is convienient! I really enjoyed the opportunity to take TEFL online course in the comfort of my home and at my leisure. The Teflen course is extremely well written and presented, my instructor was knowledgeable and professional. I will not hesitate to recommend your college. I found the course challenging and rewarding. It also broadened my awareness of the different ways of teaching and I learned new concepts of the English language and grammar through this course. Would recommend to anyone interested in teaching abroad. Teflen has served its purpose for me to master the fundamentals of teaching English. Will definitely recommend for others who wants to teach English as well. Thank you! It was very easy to follow this course. The course material was easy to follow as it was designed well and methodically. The concepts were explained well. The course engrossed me and brought my attention to the points that I didn't understand, The course teacher was really helpful and answered my questions and gave clarifications where needed. Overall, my experience with TEFLEN Training College was remarkable. I will recommend the College to others. Thank you - very happy I chose this course and I have recommended it to friends. Some of whom have also enrolled. The material was very informative and easy to follow. The flow from topic to topic was fantastic and I greatly appreciated the feedback I received from my trainer. A fantastic experience from Telfen, thank you for the opportunity which improved my teaching skills. Thanks for providing such a great service. I found I didn't need to use the trainer because the learning materials were all clear and concise. The course was very informative, easy to follow and navigate. Feedback was clear and helpful. Overall a good experience. This course was great, very informative, i am very happy with the outcome. A well-rounded course that was easy to follow. Content was well explained as were tests and assessments. Feedback was clear and helpful. I feel prepared for my new teaching job in a new country. Loved it, really sparked interest and refreshed my memory on my schooling. I enjoyed the course in its entirety and would recommend it to other people that are thinking of Teaching English in another Country. I felt the format of the course and website made the process of learning and studying very easy to follow. Easy to follow and navigate. Self paced which made it easy. I found the course very easy to follow and I enjoyed the material supplied. The tutor's comments for my lesson plan were very helpful and they guided me towards the areas that need more attention. Great course, I have recommended it to other people and I like that fact that you have 12 months to complete the course. I also appreciate the feedback I received from my tutor. Overall a very good experience. Teflen is great! The college has been very supportive and understanding of students needs across the globe. All course information was well presented and easy to follow. This was a very informative course. It is the first time I have tried such a thing online. I found the information very valuable, easy to read, and plan on applying it in the future. I found the course content to be of a high standard. I was engaged with the learning content and enjoyed learning a new field - teaching. I also enjoyed the flexibility of online learning which made it possible for me to maintain my employment and work towards my goal of teaching overseas. My course teacher was super responsive and provided feedback which prompted reflective learning. I would definitely recommend this course to others and would like to extend my appreciation to Teflen and my course teacher. Teflen Training online was especially beneficial for me in my current situation. I enjoyed the fact that I could learn at my own pace and plan my own schedule. I thoroughly enjoyed this course and the support offered. It's a nice online course. Interesting and very useful material for teaching English. I have learnt a lot of new things related to the subject. Very good and quick communication with the tutor. Overall I would definitely recommend it my friends. Thanks! I appreciated the extra training on teaching in Module 8. It served to put my mind at ease considering I have little teaching experience. The course was good, a lot of information to take in all at once but I think over time and once I'm teaching, that it will become easier to access the information and apply it in my classes. Thanks. I really enjoyed the course! I appreciated the fact that I was able to download the material and study offline! My trainer was extremely approachable and helpful. I enjoyed this course and it helped me to determine my weaknesses. It also helped me to realize how important it is to pre-plan every lesson. The flow of the course modules were easy to follow and understand. Doing the course online made it a more relaxed learning experience for me as I was able to fit it into my schedule and work at my own pace. I would recommend this course to anyone that wants to become a certified TESOL/TEFL instructor. My trainer provided me with excellent assistance on the lesson plan section of the course, I did not need much more assistance as the course material was extremely easy to follow. I really liked the offline option because then I could study anywhere without worrying about my data on my phone. The course was very professionally written and quick, appropriate assistance given when required. Whoever wrote the course modules has done an absolutely amazing job! No doubt they're adept. Thank you all. This course has been of great value to me. I am grateful that I found this course online. I am interested in TESL but didn't know how to begin and now I do. Thank you! Overall I had a great time taking this course. I learned much information that I was able to input when completing the lesson plan. I found the lesson plan the most difficult task of all. The course was great, very informative. I am glad I chose the master150 course. I would recommend the course to anyone considering a job teaching abroad. Amazing course! I enjoyed the time studying and sitting the exam after each module. Thanks to my trainer for all your help. The presentation of information is engaging and also inspiring to continue learning beyond this portal. I already have a plan to continue to expand knowledge and develop additional skills. Thank you. Overall a really great way of studying! I found the course to be surprisingly robust and well designed. I am a teacher but I have learned valuable new tips and tricks that will assist me in my "normal" classroom as well as in my future EFL classes. I have taught EFL before, without the qualification and so I could relate to the learning material very well. The assessment I feel is very appropriate and balanced. I was super impressed with my tutor's response time and the amount of useful and targetted feedback. An online course which makes teachers' lives easier. Teflen training college is the best I have seen. Have had experience with so many colleges and finished a bachelor of science, master degree and doctorate in philosophy but to grade this college is my honour, excellent overall. The online format of the course made the whole experience incredibly easy and flexible. As I have been teaching English for the past year in Colombia. I feel the information was mostly reinforcing things I have been using. But there was certainly some aspects that were new for me. I really enjoyed the practice lesson assignment, that definitely helped and I got great practical experience and preparation for classes. Thank you again for the wonderful course, I will definitely recommend it to others if they are asking about TEFL courses in the future! The course was well organized and full of helpful information. Overall I had a good experience and the time studying this course was well worth it. I very much enjoyed this course! The course is challenging in the way that some sections are not really explained too well and i had to look up a lot of meanings on the internet for a wider example or explanation but other than that the course in a whole is really good and i enjoyed the challenge, cant wait to start on my teaching and will look into studying further with this. The course was really straight forward and easy to study. The fact that you receive your marks immediately after writing makes it exciting and motivates you to keep going. Thank you for this lovely experience. This course has taught me a lot and I'm so thankful for that. Its broaden my horizons for a future that I'm excited for! A friend had suggested Teflen to me, I now see what she meant. Teflen is amazing. I am now excited to spend more time on lesson planning and practice to further my dream of teaching English in Thailand and China. Dear Teflen, Thank you very much! I was a little sceptical on doing a course online. With the easy navigation of your website and a helpful trainer, it made the experience enjoyable. Thank you for providing me the opportunity to complete this course. I enjoyed your online course and would not hesitate to recommend this course to any aspiring ELS teachers I may come across in my travels. Everything was great. The information taught in each module was helpful. I appreciate my teacher giving me an extension on the course. Appreciated the help from the tutor and the tone in which the material was constructed was very warm, simple and helpful! I enjoyed the flexibility of the course. The way content was delivered meant i could progress at a pace suitable to my schedule. The supplementary materials provided in the course provided both broad and detailed. Multiple choice questionnaires at the end of each module allowed for steady assimilation of knowledge. 100% would recommend to those who are interested in teaching English abroad. Thanks to my trainer for checking in on me and getting me an extension. Amazing course! Made my life easy by having the convenience of doing the modules whenever I can. I had an excellent experience with Teflen Training College. I felt that the course material was well explained and easy to follow. I appreciate my trainer's quick response to my assessment submission. The online format was extremely easy to follow and was a joy to learn. I had the greatest of times getting to grips with every nook and cranny offered to me by the teflen course. I really enjoyed how each Module was presented and thought the whole course was fantastic. My trainer always responded quickly and with wonderful advice. The TEFLEN Master Course is very extensive and has given me a very good understanding of what is important in teaching English both as a foreign language and a second language. It also has provided me with some excellent sources of materials to use in my teaching career. The course is organized and flows in a logical format. I just want to thank Teflen for designing this great course certificate and thanks to my trainer for all your help! My trainer provided me with helpful and useful feedback that I also learned a lot from. My experience with Teflen Training College was great. I was able to go through and complete the course smoothly. For these reasons, I would recommend Teflen Training College to others. The feedback from the trainer was in depth and constructive; in fact, I have studied at university and not experienced such thorough feedback - completely impressed with the trainer. I needed an Australian TEFL, and TEFLEN provided a reasonably priced and efficient course. The staff were excellent and answered all my questions. They also helped guide me through the notarization and authentication process. It was good to have the freedom to study whenever I want, especially since I am currently travelling in Central America. Near immediate response from my Trainer which was great! Everything was taught in a very easy to follow way. I really enjoyed this course. I like the fact that I could download the PDF so I can reference the information in the future if necessary. There is a lot of good material in this course, and I am excited to use it! I loved the fact I was able to download and study the materials. That way I could study anytime anywhere, and pass the test once I got home. Awesome, excellent trainer. Highly recommend. I loved the classes and look forward to getting to work! My trainer provided in depth feedback and provided materials that helped me in this course. Being able to take this online course has allowed me to study around other commitments which has been invaluable. This course was perfect for me as I need a TEFL cert mainly as a requirement for a Chinese visa. Having said that there was much information in this course that was interesting and that will be incredibly useful. I really enjoyed the course you provided. teach over 1600 foreign students on the internet. I took this course to be sure I was teaching them correctly. I have already recommended this course to others interested in teaching English abroad. Thank you for having this course available to us. I found the TEFLEN online course to be helpful to my learning, and gave me confidence with ESL students. I am currently completing my Primary Teaching qualifications and felt this certification would allow me to better support the ESL students in my future classrooms. I thoroughly enjoyed updating my skills with TEFLEN. The course was easy to follow and was informative. Studying online was more fun and a lot easier. The trainer was very helpful and always ready to help throughout the whole course. This is my first experience with Teflen Training College and am very satisfied with the study material and the knowledge being provided in the course. 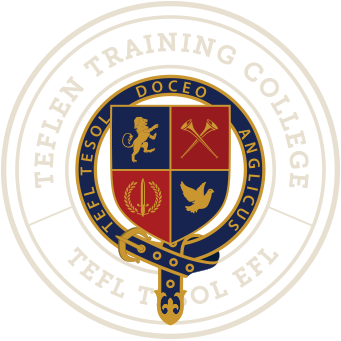 I will surely recommend Teflen Training College to my friends and relatives. I liked that I was able to download the course material and read it or watch the videos while on the go with no need for internet. This was a great course, it is very well presented. I looked at a TEFL course that my sister completed and it was nowhere near as good as this course. Really liked the material. I have learned a lot. I would rate TEFLEN Program 5 stars. The administration and faculty respond to you asap and provided me with help all the way through the Masters program. Upon completion when I used my learnings in the classroom the students test scores increased, and I was able to provide a more positive learning environment to my students in China. Would highly recommenced this course to everybody I know. I found this website easy to use which was fantastic as i have had trouble with other online courses so i thank you for making this an enjoyable learning experience. The course was well presented and easy to follow, my trainer was always available to help. It was great to study with TEFLEN. I would describe Teflen as simplicity at its finest. Thank you. REALLY impressed with the flexibility. NO stressful deadlines to meet. Being full time employed with a hectic schedule, I loved the idea of studying at my own pace and being able to write the tests when it best suited me !!! I found the course very easy to follow as it was well planned and structured. My overall experience with Teflen Training College was excellent compared to the online courses being taught in South Africa and I would recommend anyone who is interested in doing a TEFL course to do it through Teflen Training College. I enjoyed the course. Thanks! I had an excellent experience with Teflen. I would recommend Teflen training college to all my friends, I did recommended it to my coworker and he already sign up for the program. It's an excellent opportunity for every body interested to teach English abroad and it's affordable! I work full time as a teacher so when I had some time I was able to access this on the spot. My trainer offered me great assistance as I have accustomed to planning in the way my school does so he gave me an insight in planning the way the course is set out. It was a great course and I would defiantly promote this to others. The process was simple yet made you think. The instructions were clear and the videos shown were very helpful also. As someone with no teaching background, this course proved more than helpful. If you are looking to get your TEFL, this is the place to go. This program was awesome and my teacher was so helpful ! My instructor was very helpful. Plan on working on my lesson plans and look forward to teaching abroad. It was definitely easier to learn online. The assistance provided as well as the feedback was excellent, very encouraging and that helped push me to finish. I taught public school in America for 14 years and have taught ESL in Korea for seven. The TEFLEN course was a wonderful way for me to gain fresh information to revamp and improve my teaching skills. The course material was very easy to navigate. I was also very impressed with how quickly my assignment for Module 4 was corrected and returned with comments and all. Haven't spoken to the Trainer so no feedback. Course was set out well, lots of information and the format was great. I feel lucky finding this course and attempting it. It's been enjoyable experience overall, yet challenging. I feel proud finishing this intensive course and becoming a member of the TEFL world. Thank you for the great experience. I enjoyed the course very much, will recommend it to my friends. I would most definitely recommend this program to my friends who are teachers as well. After 5 years of teaching in Dallas Tx this is a great opportunity to explore new things. Great course content, plenty of ideas to use in the future, quick reply after submitting my lesson plan assessment, excellent videos. Overall a very good course! The material is great and the course quite well laid out. I especially like the PDFs and the ability to refer back in time. I was nervous at first but the course was really easy and was very well presented. My trainer gave extremely good advice. I will definitely recommend this course to anyone who wants to teach English. Course was very clear and concise. Excellent tutor throughout the course, answering my questions concisely and thoroughly. I found the contents of the course quite challenging but also very manageable with the assistance provided by the trainer. A very enjoyable and informative course. I did not need trainer assistance much, but when I did he was right there and responded quickly with the information I needed. I found it easy to follow the course material because it's all designed perfectly. Modules were presented clearly and very functional. My trainer was awesome. I would surely recommend TEFLEN Training College to my friends which I have already done. Very flexible and easy course. Teflen Training College provides an online format which allows students to access the course easily and conveniently, the contents are easy to follow. I have gained excellent experience from teflen and I will definitely recommend this course to friends and family. I did not need assistance due to how the course was structured. Useful information and easy to follow. This course is very user friendly, very thorough and the online format makes it very easy to follow and do the course. It is an excellent course and i am so happy i was told about Teflen Training college! I wish to thank my trainer for his assistance and I am looking forward to teaching and exploring different parts of the world. Thank you so much! I have been excepted by ENGLISH FIRST to teach English in Indonesia for 12 months after successfully completing this course. Everything about this course was great and I would definitely recommend the course to others. I didn't need the help of assistants, material was very straightforward and easy to get through. Course is flexible and easy to follow, help is readily available. It was a good course! The course is very well written. I feel prepared to enter a classroom now. The assistance provided by my trainer was excellent. The course was really good, learned a lot. I recommended the course to my friends. The course was flexible and easy to follow. I took a few months off and then picked up study again with no problems. I enjoyed the course, I'm glad to be part of it. The course builds a comfortable way of studying. Although the material is challenging, it goes with your availability. In a personal point of view, my trainer was very helpful and supporting, would always reply when I needed. Definitely, a course that I would recommend to coworkers and family. I thought that the course was challenging but not extremely difficult. My trainer was very helpful. I found the course easy to follow and extremely informative, and now confident to walk into any classroom. Thank you for this great experience!! I enjoyed the content and the lay out of the course. I have learnt a lot and feel I am prepared to enter the sector as a beginning language teacher. Thank you to the Teflen Team for giving me this opportunity. I felt that the modules used in the course were easy to follow and understand. When I asked a question, it was responded to quickly. I have shared my experience and the efficiency of both the course and my trainer with all my friends and family and am quite proud to say that successfully at least five people I have communicated with have signed up. Good value for money, easy system to use. I enjoyed the course and found it very informative. I liked the fact that there is a teacher available to assist should I need it and when I did email him he was always quick to respond. Very straight forward course that was very enjoyable! Teflen Training College has been excellent. It is extremely easy to understand and follow. The Modules were presented well thought out. I didn't ask many questions during the course, however, after sending my first assignment the response was excellent. Not only was it a quick response but I also received great feedback and encouragement to improve my assignment. Overall, I had a really good experience with all modules and enjoyed the course. I think that this course helped gain more knowledge and was easy to follow. As an Early Childhood Studies student, Telfen gave me a new perceptive for teaching English and excellent tips on how to approach different teaching strategies. I learned a lot and ready to use the material into teaching abroad. I really enjoyed the course. It gave me confidence in my abilities which I did not have before I started and it showed me that I could do new things. My thanks for this uplifting experience. This was a good course to take. Very thorough in explaining a lot of concepts. I am not too fond of online courses but this course was great in providing what I needed to know. I enjoyed the course and found it meaningful to teach students of a foreign language. The course worked for me because I could download the material and read it whenever I had the time, wherever I was. I have in fact recommended the course to several of my friends. I really liked the method, it is simple and straight to the point. Thoroughly enjoyable course. I could not "put the book down"! I enjoyed taking the course online because I was able to work at my own pace. The course is very well set out and contains absolutely loads of great and useful information. I didn't really require the services of our tutor except for when he marked and returned the lesson plan (And this was done within a few hours). Thank you. The course provided detailed information of what to expect in a classroom and video learning made it easy to understand what to expect as an EFL teacher in real life. Tutor feedback was fast, helpful and constructive. This was a very easy format to follow and I learned things that I didn't know. The lesson plan was a very practical way to determine whether or not you are ready to teach. The instructor was helpful and gave me great feedback on my lesson plan. I thoroughly enjoyed this course. Really enjoyed this course it was challenging and very helpful. I would recommend this to others, its one of the best I have seen online for its cost and material. I found the course easy to follow however the content was quite involved, the work challenging and enjoyable. I think this is a great course and covers all the necessary areas. I found the course very interesting and really enjoyed it. It has given me motivation and I cannot wait to put every I have learned into practice. Thank you so much and thank you to my trainer. I have been a very passionate teacher, with the help of Teflen Training College, I can successfully become a certified teacher. Considering my current situation, which is graduate-to-be as a Medical Doctor, I had very limited time and resource to cover this course if it were to be taught in an institution and hence, I am utterly grateful to have found Teflen Training College that allowed me to complete this course on-line. Very clear course outline and information. Quick and helpful responses from the trainers. The course was well structured and easy to follow, thank you. Thank you very much for this wonderful opportunity and your excellent service. It is much appreciated. The online study form is efficient and effective. I recommended the course to my brother and he recently started! I loved this course, and am thankful for it. I was very satisfied with the course. It covered all areas of TEFL and was very informative . I have been teaching ESL for many years now as I am a trained English teacher and have live and worked abroad for several years. A lot of the material taught in the course I was already familiar with, however I did not have a TEFL certificate . I am very happy I was able to do this course and get the certificate. I really enjoyed Teflen. I was recommended to Teflen by my employer, (EF) English First. I decided to do the 120-Hour course as that's what many abroad jobs require. The course was informative and easy to follow. I've enjoyed learning with you! The structure of the course is by far the best I've ever seen or been involved with. I enjoyed this course very much, and would recommend it to anyone interested in TEFL. This was a great course. Loved the feedback on got and my trainer seemed not only helpful but very caring and personable. Definitely would recommend this training. This method of delivery for this course was perfect as I was able to fit study time and module completion around my busy work schedule. The website itself was very clear, intuitive and easy to understand. My trainer provided valuable feedback for the assignment. Thank you. My overall experience was amazing with Teflen. I was able to go at my own pace and the material was easy for me to grasp and apply. My trainer was wonderful and always answered my questions in a timely manner. I really enjoyed the course. I found it easy to follow and the online format made it really easy to access. Great course. It was easy to understand and had a lot of valuable information that I'll use. I would love to recommend your company to anyone who needs a teaching career in the future. Keep up the good work. All in all this was a great experience and I'm excited to use these skills abroad. I am extremely happy with TEFLEN Training College. From the moment I enrolled my tutor was exceptional and very helpful. I enjoyed the manner in which the course was laid out and found studying enjoyable. A well thought-out program, I learned so much. A wonderful way to cover the material! The advanced course was absolutely fantastic as I was able to complete the modules at my own pace while working full time. The manner in which the course has been structured makes understanding the content within each module very clear and concise. I have already recommended the course to colleagues and friends who are currently enjoying the course. Thank you very much for an awesome e-learning experience! I was able to take my time and research the material needed for the lesson plan, able to stop in the middle of a test and finish later. This was a really great experience, I have taken online classes before but this was super easy. I have enjoyed the course. I think Module 2 was very long, but it also had a lot of useful information. I would definitely recommend Teflen Training College to others. I am impressed with this course. I loved studying through Teflen, great course. A really good course, I'd recommend to anyone. This was a great course and I learnt a lot, thanks! I really enjoyed the course, my trainer was really helpful especially with the lesson plan. I found the fact that I could download content incredibly beneficial and read almost all my material offline whilst traveling. This is my first on-line course and i'm completely satisfied with it. The knowledge that is given in this course is very useful for me as for the beginner in teaching. The material is easy yet complex which allows you as a teacher to think. I enjoyed every minute of it. Thank you for making it easier to achieve! Online course is a real opportunity for busy people. It's perfect... don't change anything. I found the whole process perfect for what I was after: Easily accessible, being able to print off the material and read it and having my teacher write back so quickly all made the learning process a great experience. Thank you, very well structured lesson, easy to follow. I feel like this is an amazing course and has helped me to think about the role of a teacher and how I can improve to help my students. This was such a great experience. I felt so at home (literally xD) and everything was straight forward and easy to follow! Thanks teflen for this great opportunity! The course material provided for me online was easy to follow due to the sectioned Modules, videos and lots of examples. It made my studying alot more easier and gave me less pressure to complete certain tasks in my own time. I found the TEFL course very practical and useful. I liked the fact that i could login in and out at anytime and had a lot of time to pass all the tests without any pressure. Many thanks to my excellent trainer for all his prompt and professional assistance, and the encouragement and compliment he gave me during my study. Also, thanks to TEFLEN Training College for the great course. I feel confident with my future teaching. My experience of TEFLEN and the course has been enjoyable. Due to the assistance from my teacher, of who would send through to me clearly stated and useful feedback. The overall online experience of learning online is fuelled by self-motivation. This course has assisted me in my approach to writing at University level and too when I train new employees at work. Therefore, I have learnt lifelong lessons thanks to TEFLEN. Additionally, TEFLEN allowed me to explore language learning external methodology research. The course was very easy to follow, the concepts taught resonated with my interests and I was motivated to further my progression. Modules and their sub-sections were laid out in a logical manner. This course was very resourceful and put together creatively. It was created in the most simple format, providing only vital information. Good structure. A lot of reading but it was great that I can print the material and read it at the beach or on public transport etc. Good content! This course was very informative and the assessment was well structured. It is a much better course than many of the others that I initially looked at completing. I found all the modules very easy to follow and all feedback was good. I think the price was right for me. The material exceeded my expectation. I was happy with the course; the assistance from my trainer was always prompt and very helpful. Great experience with TEFLEN, I have recommended TEFLEN to one of my friends and they have started the course and enjoying it. I'm very happy with my experience at Teflen. My overall learning experience has been awesome, it is great to do it at my own pace and everything was easy to follow and understand. I would recommend this to anyone. The course was great. Trainer was a good help and always responded quickly to my questions. Many thanks to the Teflen team! Keep up the good work! I have an Associates Degree in English and also have a Bachelors that was primarily taken online from a local University. Because of this I am very used to the online format, However I believe this study was very informative and would be great for any TEFL student!! Great course, very empowering material. This course and my teacher were absolutely amazing. I was impressed by the course. Each module was easy to understand. The only Module I had difficulty with was the Lesson Planning. After taking advice from my trainer I was ok. Apart from this very informative and interesting course content. Was an excellent course. Learnt a lot. Fantastic support. Instructor was great, he went way beyond what I was expecting to help me develop my lesson planning skills. I enjoyed completing the course, great resources for teaching English to foreigners. I am very happy that I have chosen TEFLEN college. I will recommend to my friends. The online format made it really easy for me to study when it was most convenient for me. My instructor provided very useful and easy to understand feedback. I am most impressed with the complexity of the training material, the well defined course objective and the help provided during my studies. I highly recommend the course. This was a very easy to follow course. Being able to do everything online has allowed me to complete it in my spare time, which has been very helpful. I enjoyed the content and feel like i am prepared to teach English to others. Each module was set out clearly and easy to understand. I found the lesson plan module most valuable and now my lesson plans are more informative and well structured. I would recommend a glossary page for technical words. This was a brilliant course, I learnt so much. Each section was easy to understand and follow. The website is very user friendly and my tutor responded very quickly each time I had questions. I found the course excellent. Thank you. Trainer was really helpful and the layout of the course is great. Very easy to navigate website, well laid out. Really engaging and made it fun to learn. Loved the online format. Very user friendly. I really enjoyed the course. I thoroughly enjoyed doing this course. I learnt so much and now just need to put it into practice. Scary thought haha. Help on hand throughout the course. Many thanks. The material was clear, concise and well structured in its flow. It worked well with the course structure, so there was not noticeable disruption in the flow or work. My trainer was very quick with his assessment, and very constructive with his notes. How would you rate your overall experience with Teflen Training College? Excellent. Very well organised and easy to get started. Would you recommend Teflen Training College to others? Yes, I would recommend Teflen to my friends. Access to the materials online was incredibly convenient and flexible. I was very impressed with how straightforward the lessons were. The only thing I might suggest is that module 2 and 3 are too long. Probably think maybe adding more modules with less info. I found the course to be well-organized and informative, as well as challenging. I also appreciated the in depth feedback I received from my trainer. I recommend this course to anyone looking for an online TEFL course. I thoroughly enjoyed the course, and learned a lot of relevant information. I am currently teaching, and have added more interaction and learning games to keep the classes both fun and interesting, as recommended in the modules. My tutor was great, his patience, encouragement, feedback and prompt responses were very much appreciated. Thank you for making this qualification available. I wish Teflen all the best for the future! An enjoyable experience, I am looking forward to being able to travel and teach, the coarse material is effective and stimulating, I look forward to putting it into practice. It's good that you can print out the modules as I like to mark and highlight information, a great resource to use when needed. I found the information very relatable and easy to understand. Having videos also made it more real as to what to expect. I think it's nice to have an online certificate made available for people who have busy schedules and cannot make it to a regular class for sessions. Having this program online allowed me the time to practice when I wanted. I have thoroughly enjoyed the course and learnt a lot from it. I can not think of any suggestions to improve the quality of the course. The online college has provided a wealth of learning materials needed to complete each module. I have utilised them effectively in my assignments . Thank you to my trainer for your ongoing support that you have rendered to me throughout my learning journey. Very good assistance from my trainer. Very informative material, helped a lot with my confidence to teach. This was an excellent course, and can be finished in a month with focused study. I needed the certification for an online teaching job, and it was exactly what I was looking for. Amazing experiance and can't wait to put to use all the great things I've learnt with Teflen. Happy travels. I am very satisfied with this course. It was not too complicated. Was simple and fast with necessary information. Thank you so much. I feel that now I am ready to teach English abroad. I really liked how everything in the course was structured and the overall layout of the material. I have a 10 hour certificate in ESL and experience teaching an intermediate level class with students from different backgrounds and cultures. I can say that this course contains some great resources and has greatly increased my knowledge and ability to create a more useful lesson plan. The way each module was written came as a very big surprise. I've taken a lot of online classes and most of the time the information is written in such a way that it bores you to read it. I found that with this course I actually enjoyed reading almost every line. This is high praise and you should be proud of what your school has put together. Overall, this was an easy experience with a few challenges and I have learnt many new aspects of teaching and how to actually plan a successful lesson. TEFLEN College and my trainer were amazing, offered me the opportunity and satisfaction of completing something I have been wanting to do for years! Material was explained very well and approachable. Trainer was very prompt and helpful in their feedback. My experience with Teflen Training College was extremely rewarding. Honestly, I learned a lot! After successfully finishing the Master (150 hours) course, my passion to mature has gotten stronger and I'm excited to put what I learned into practice. Thank you! Very good training program, I have done a number of online courses, but the way this information is presented is definitely the best I have experienced thus far. Teflen provided lots of detailed information and insightful videos for each module and examples that were very helpful. I learned a lot from this online course and I enjoyed that I was able to go at my own pace. My trainer was rapid with feedback and any questions I had. I would recommend this course to anyone who is interested in teaching abroad! As my first on line course I was extremely impressed with the user friendliness. Extremely well designed format and easy to pick up and continue on. For non-teachers there may be a lot of new material so just slow down your learning pace and know you will be given 3 attempts at each quiz so don't be daunted. My instructor was very professional, readily replying to any questions. A very impressive course all round, thankyou. Great course, easy to follow instructions and layout. Very enjoyable! I have used other online courses previously and found your courses quite clear and easy to follow. A lot of work has gone into this course and it shows. This is an excellent program. No one else is doing anything even close to this quality in the online environment. Fantastic! As stated the course material was easy to follow and laid out in a very methodical order, which made studying easier than might otherwise of been the case. Thank you very much! Teflen college online was great because I could study and do the tests when it suited me. My trainer was great and got back to me ASAP whenever I needed help or had any questions. Would 100% recommend to others. I think Teflen Training College is excellent for new students like me. Easy to access and easy to learn. Very simple to follow and very clear. This course is excellent. The tutor is very supportive! The course provided me with useful information on teaching English as a second language. It covers important aspects like language learning skills and methods, stages of language lessons, lesson planning and gives ideas for activities, seating and building positive relationships with students. It really is a well organised online course which allows for self-paced learning. Overall, I am very satisfied with the Teflen course. I would highly recommend Teflen Training College. There was immediate feedback from my trainer after I submitted my lesson plan and encouragement and direction was given. The course material was very thorough and easily managable. I really enjoyed the course content, thank you.